An 18-year computer security industry veteran, Sondra Schneider is the CEO of Security University, a Computer Security Training University. For the past 10 years Sondra has been traveling around the world training network professionals to be network and security professionals. In 2004 she was awarded “Entrepreneur of the year” for the First Annual Woman of Innovation Award from the CT Technology Council. She is an advisor for 3 computer security internet (start-up) technology companies and is a frequent speaker at security and wireless industry events. She is founding member of the NYC HTCIA and IETF, and works closely with ISC2, ISSA & ISACA chapters and the vendor community to provide computer security training and feedback. Ms. Schneider specializes in password and identity management – access, authentication and PKI systems, biometrics, wireless networks and wireless security, network perimeter architecture and security, vulnerability auditing, intrusion detection, and broad band networks. 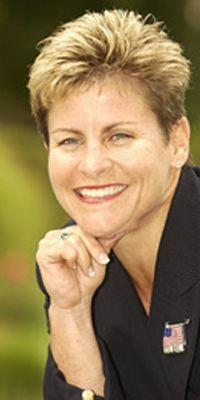 Prior to founding Security University, she was a founding partner of a New York-based computer security and information assurance consulting firm where she managed IA consulting project teams, security consulting and training to Fortune 500 customers. Security is not a feature - it's a requirement for today's software. According to Gary McGraw, the good news about software security is that we know how to do it, but the bad news is that we aren't. In this interview with Sondra Schneider, Dr. McGraw describes how to build secure software and what the security challenges are for the software industry. Businesses should book software not as an asset, but as a liability. That's just one of Ed Amoroso's provocative ideas. Like medicine, software engineering should require "years of tortured residency." Homeland Security should work with hackers to fight terrorism. We should discard our firewalls and let broadband carriers filter attacks in the cloud. In this interview with Sondra Schneider, the AT&T CSO also describes AT&T's 24x7 TV network for security professionals.